She will not be disclosing it publicly of course but apparently it has already send ‘some shivers‘ down the spine of DAP Leader and now only Sarawakian in Pakatan Harapan Vice President Chong Chieng Jen. Talks within DAP circles there is already a probability that a new face is to replace the incumbent DAP. What is the reason? Nancy would not have just made this statement if she has not been briefed in detail. It does seem though, that with Batu Kawah and Batu Kitang already in the bag for BN after the winning in the last State Elections attention is now focussed on STAMPIN PARLIAMENTARY SEAT. From 1999 to 2013 it was a seat for BN/SUPP Yong Khoon Seng who won by majority of 8897 ( in 1999) 7731 ( in 2004 ) 3070 ( in 2008 ) and losts it to DAP Julian Tan Kok Ping by 18670. The SUPP candidate hopefuls have been working the ground and with the President of SUPP and the Padawan Council Chairman as Assemblyman in Batu Kawah and Batu Kitang respectively there is much enthusiasm and in reality wrestling this seat back from DAP is within reach. WHO WILL BE THE LIKELIEST BN/SUPP candidate? Surely, the Barisan Nasional leaders will scrutinise all potential candidates in order to regain back P196 STAMPIN. 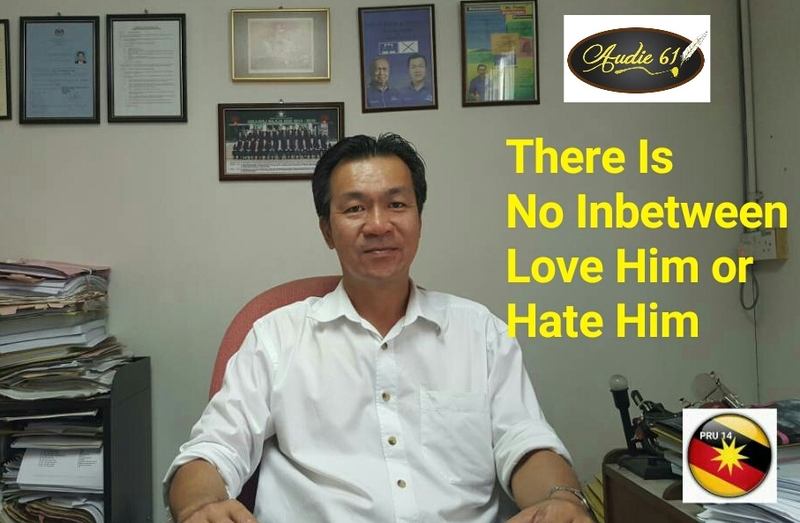 PKR have tried without much success and a so called multi racial party but Majority Chinese based party DAP is making a Big Political statement to its Pakatan allies. Have they disregarded PKR,PAS in their pursuit of trying to wrestle Sarawak? 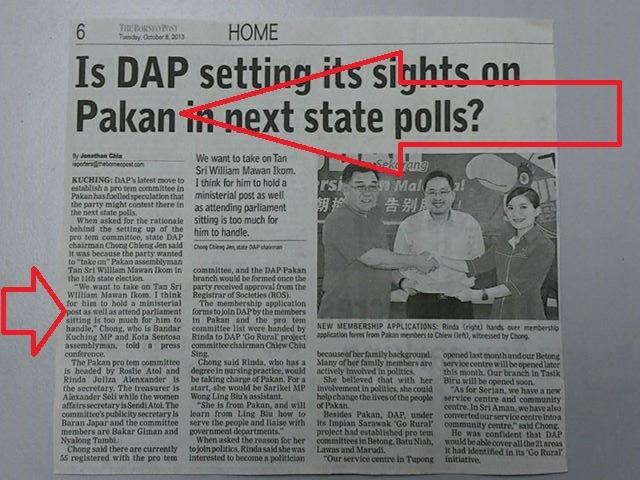 This is the question which many of PKR/PAS members have questioned. PKR will be the biggest losers in this political game. Of course,.DAP will put forward their case as such that some of PKR leaders have left them and joined DAP and also some are in SWP (Sarawak Workers Party) . Are they just going to quietly watch and see that their seats are going to be taken up by DAP in IMPIAN SARAWAK PROGRAMME? 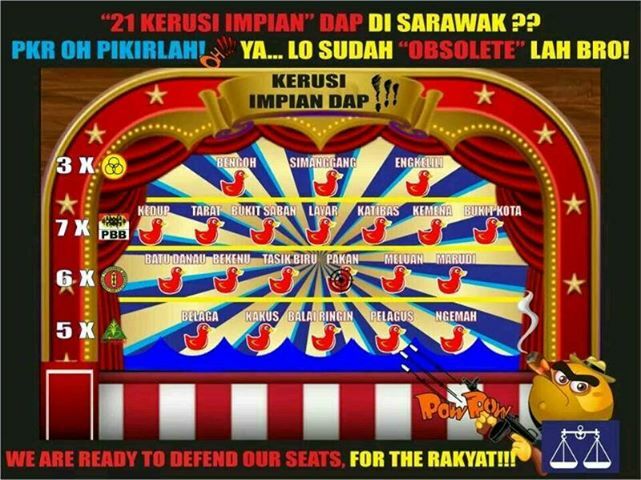 PKR in Sarawak eventhough there are 3 assemblyman in Baru Bian,Ali Biju and See Chee How will not be able to contain with DAP’s 12 assemblyman at the present time. It’s the numbers game and DAP is building its forces and BN will not be complacent eventhough many are brushing aside DAP’s advancement into the interior. According to sources on the ground DAP MP Tony Pua and his group of DAP members are gaining foothold in some areas. BN component parties needs to be aware and not to brush these DAP so called”dreams” aside. DAP is getting bolder by the day and their going rural “Impian Sarawak Programme” must not be underestimated. They have seen of SUPP Presidents in Wong Soon Kai and George Chan and now they are targetting SPDP President William Mawan. The groundswell is building up and they have been “bisik bisik” that Mawan is theirs for the taking. SPDP members beg to differ and see that Mawan has grown from strength to strength after overpowering Ali Biju of PKR in the last GE13. DAP SARAWAK CHAIRMAN CHONG CHIENG JEN WE DARE YOU TO STAND IN PAKAN..? ?